I've just returned from Cancun, Mexico with my family. Beautiful place, relaxing, warm, very refreshing. But you need a passport to get there. No passport, no leaving the country, no vacation, nada. The passport tells others who you are. It's got your vitals on it, at least those needed by immigration officials. Your full name, your birthplace, your date of birth, your citizenship. It's you, as far as border control is concerned. Sure, there's more to you than your passport...but if you want to travel internationally, it's the one piece of ID you can't afford to forget. For Christ-followers, our ID is found in baptism--our identification by faith with Christ's life, death, and resurrection. Paradoxically, it's only here in our burial beneath the waters, that we die to our old, false selves and are reborn to our new, true selves. This is what gives the Apostle Paul the audacity to say, "For I have been crucified with Christ and it is no longer I who live, but Christ who lives in me. And the life I now live in the flesh, I live by faith in the Son of God who loved me and gave himself for me" (Galatians 2:20; Romans 6:1-11 is also very good). This identification endures the test of time and tragedy. This passport carries us to eternal life. This symbol connotes a citizenship that crosses all borders and customs. Only this identity can withstand life's challenges and changes. 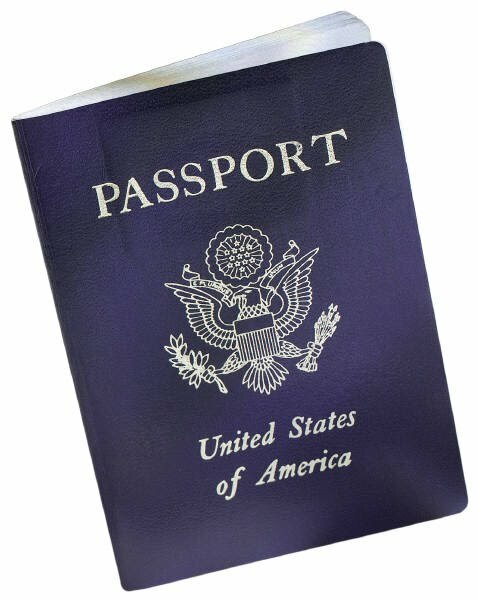 What's your passport say? "Thou art dust and to dust thou shalt return...but thanks be to God for the resurrection of our Lord Jesus Christ." This is the traditional refrain uttered by the officiant at Ash Wednesday services around the English-speaking world. It's spoken over worshipers who come forward for the imposition of ashes at the end of the service. It's a moving moment. It's a brutally honest moment, too. At this moment, the masks come off, our denial is disposed, our mortality and common need are revealed. Doesn't matter who you are, how much you make, or how good looking you are. Doesn't matter if you're fit or overweight; well-educated or not, living high on the hog or homeless. Doesn't matter what your skin color, the nationality of your passport, where you've been or who you know. "Thou art dust and to dust thou shalt return." Here we are--fallen humanity, by our rebellious nature estranged from God, subject to temptation and weakness, sickness and sin, aging and death. In a word, dust. But. There's got to be a "but," doesn't there? Otherwise, there's no good news and Christianity, the gospel message, is good news, after all. So...But. "But" means turning point, rescue, surprise. It means just when you thought it was all over, there turned out to be hope after all. "Thou art dust and to dust thou shalt return BUT thanks be to God for the resurrection of our Lord Jesus Christ." God in Christ has delved down deep into our dust, marched right into the midst of our pain, thrown his arms around our mortality, willingly mopped up our sin and shame. All this culminates in the cross of Good Friday and the empty tomb of Easter Sunday. 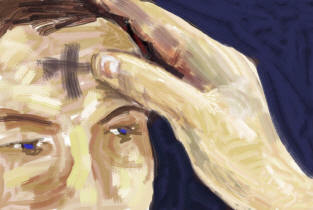 Lent now is the season in which we ponder our mortality, feel our frailty, and lift up our eyes to our common hope. Human comes from the word "humus", earth, dust. To be human is to be dust. But what glorious dust! Dust that in God's hands is capable of surprising virtue, dust that is raised and transformed by the power of Christ's resurrection, living now into a breathtaking future where death will be a distant memory. Thanks be to God! Now that I'm parenting a teen, especially one who's driving, I get my parents. I really do. Thirty years vanishes in a flash and I see myself at 16, almost 17, and I hear my dad saying to me, "Just wait: someday you may have a teenager of your own and then, then you'll understand." I understand, Dad. Someone once said, "Isn't it amazing how, as you grow older, your parents get smarter?" Amen. Their (often unwelcome at the time) advice now rings true. Stuff like getting a good sleep, dressing warmly, driving carefully, eating right, making good decisions. It all makes so much more sense now. But that's the wisdom of time, isn't it? I get my parents now. I also think I get God a bit better. Like teens with their parents, our (sad) default assumption when it comes to God is that God wants to ruin our fun. Like our out-of-it middle-aged parents, God doesn't really know what's best for us. We're better at running our lives. God just sets up all these dated, arbitrary rules which make no sense and cramp our style. What if God is like the parents we begin to understand better as we mature? What if God's ways are the best ways, meant for our good, meant for our joy and fulfillment? What if the ways of God are time-tested wisdom for a full life? What if we just can't see all of this very well right now? Maybe, like our parents, God seems smarter as we get older. More poignantly: in the heavy lifting of parenting, I often feel sad and lonely when my teen pulls away from me (which, I know rationally, is part of his development). I can feel misunderstood when he thinks my rules and boundaries are stupid and no fun. I wish he could know my heart and how much I love him right now. I wish he could know how deeply I want him to enjoy and savor a rich, full, healthy life--now and into the future. I wish he could know all these things right now. But he doesn't...and maybe he can't. Yet. And then it hit me, walking through the parking lot of Whole Foods the other day: could it be that God, my heavenly Father, feels the same way towards me, towards all God's children? Misunderstood, a kill-joy, out to ruin our fun, doesn't really know us, doesn't really love us. But of course, he does. And the wisdom of time, maturity, and insight may well show us that.